Do not forget to watch The Originals tonight!!! Remember, Davina returns next Friday. I'm blogging early to note this. They're not even hiding that they rigged it now. They're arguing in court that this is their right. And we have no rights, as Democratic Party members. What a load of . . . In a 100 years, they'll make movies and TV shows where vampires aren't the evil ones, politicians are. Friday, May 5, 2017. Chaos and violence continue, the US military presence in Iraq is set to continue beyond the (hoped for) demise of ISIS, and much more. As of now, US troops are not leaving Iraq. AP report this morning, "Iraq's Prime Minister says no U.S. combat troops will stay in Iraq after the fight against the Islamic State is concluded." Never mistake word games for truth. He goes on to declare that US troops will be there for "advise and consent." Of course, according to Barack Obama throughout his second term, there were no US combat troops in Iraq. The Pentagon refused to term what took place at the end of 2011 as "withdrawal." They called it a "drawdown." And did so because some US troops were moved to neighboring Kuwait and some US troops (special-ops) remained in Iraq even after the drawdown. Ted Koppel reported it on both NBC and NPR in real time. But the will to self-deceive is immense. The SOFA was replaced in 2012. That's the Memo of Understanding. That's the 2012 document. Maybe this go round people will pay attention? Word games were played before and they're being played now. #Iraq PM @HaiderAlAbadi said no agreement made with the US and there is NO TROOPS in #Iraq but there are advisors. If you're punked this go round, you deserve to be. No US troops in Iraq after ISIS? The rapidly expanding and hardening international military base at Erbil airport disagrees. Iraq PM Haider al-Abadi says there's no agreement with any state on military role in #Iraq post-ISIS, but open to "international expertise"
Meanwhile, in June 2014, the Islamic State seized the city of Mosul. Over two years later -- over two year later -- the Baghdad-based Iraqi government decided to respond. It's day 198 of The Mosul Slog. No end to the violence either. AFP reports, "Eleven journalists died covering conflict or were assassinated in Iraq during the past year, a Baghdad-based watchdog said in a report released Wednesday to mark World Press Freedom Day." And the country has still not dealt with reconciliation. Last Sunday, Iraqi parliamentarians voted to ban their colleagues from participating in conferences held outside the country, if the politicians had not received prior approval from the appropriate parliamentary authorities. It is yet another sign of the deepening divisions within the Sunni Muslim bloc in Baghdad – and it comes as a result of the increasing competition between Sunni politicians trying to work out how to rule over Sunni-Muslim-majority provinces that were, until relatively recently, under the control of the extremist Islamic State group. The resolution was mooted after a controversy about two conferences inviting Sunni Muslim politicians to discuss the future, were held outside the country, one in Geneva, Switzerland, in February this year and one in Ankara, Turkey, in March. Both conferences were supposed to help bring Sunni Muslim politicians closer together in the interests of reconciliation after the Islamic State, an extremist group that bases its ideology on Sunni Islam, was driven out of Iraq. Unfortunately, the controversy over the conferences appears to unintentionally had the opposite effect. This is clear from ongoing accusations and insults being traded by the Sunni politicians, who say their opponents are trying to divide the country. The fact that the extremist Islamic State has caused these kinds of divisions is not unexpected; infighting has also had an impact on the Shiite Muslim and Kurdish political alliances. But the scrapping appears to have affected the Sunni Muslim politicians worst, although maybe this is also not surprising. After all, it is the people they represent who have been hardest hit by the brutal extremists. Click here for Mustafa Habib's April report on problems plaguing the Shi'ite National Alliance. Last Saturday brought news of another US military death in Iraq. 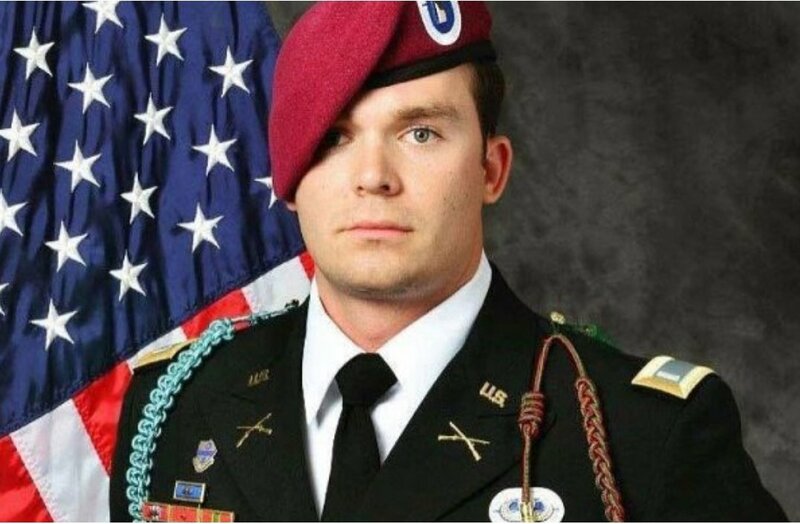 Sunday, the fallen was identified as 1st Lt Weston C. Lee. What happened to Ralph Nader?